Property 4: Located in the heart of New Orleans. Property 6: We're Jazzed Youre In Town! Property 8: Uptown NOLA 2BR Apt on Magazine St. w/ Backyard! Property 9: Clean and cozy apartment centrally located to everything! Property 16: Authentic New Orleans Charm in 1860s mansion with Fantastic Location! Historic Home in Uptown: only 3bedroom/4 bathroom in neighborhood! Property 20: Historic Home in Uptown: only 3bedroom/4 bathroom in neighborhood! Property 24: Frenchman street for awesome music and two blocks to French Quarter. 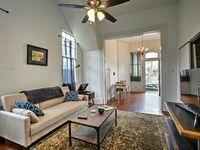 Property 32: One Bdrm Apartment, Walking Distance to Jazzfest, Close to the French Quarter! 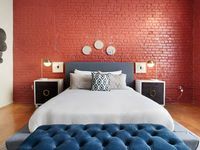 ★Ideal NOLA Staycation★ Walk Everywhere / Off-street Parking / Modern Charm! Property 43: ★Ideal NOLA Staycation★ Walk Everywhere / Off-street Parking / Modern Charm!